The ICP Office carries out activities in the areas of corporate information, communications and publications to support the achievement of the Institute’s strategic priorities. • Actions supporting the digital dissemination of research output - in the areas of direct communications, social media (Twitter/LinkedIn), infographics, and preparing the monthly newsletter etc. • Supporting communications activities in relation to ESRI conferences and seminars, such as preparing and issuing notifications, preparing conference materials and updating the website. • Providing support for media relations, such as issuing press releases and compiling reports of media coverage. • Support on website including content updating, Search Engine Optimisation (SEO); etc. • Administration support for the development of a communications database (e.g. a CRM). • The role also provides ad hoc administrative assistance and reception cover as required. • Interest in the work and the mission of the ESRI. Applications are invited from candidates with a relevant undergraduate degree and ideally a post-graduate diploma in digital marketing or similar. 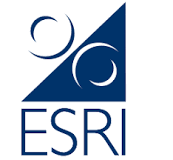 ESRI internships are temporary posts and attract a stipend of €355.00 per week. This internship will run from June 2018 to May 2019. Working hours are 37 hours per week, 9.00am to 5.30pm Monday – Thursday and 9.00am to 5.00pm Friday with an hour for lunch each day. Annual leave is 24 days per annum pro-rata. The closing date for applications is 5pm on Friday 6th April 2018. To apply for this position please click on the link below. All applications will be acknowledged. Late or incomplete applications will not be accepted.